With immediate effect, all orders for Halloween party products will automatically be sent by 24/48 hour courier, even if you select and pay for standard Royal Mail delivery. So get your orders in now while we still have stock! We have made some immediate upgrades to our services, so you have two delivery options that will not be affected by the Royal Mail strikes. In addition to this, to ensure our best customer service during these difficult times, all orders weighing over 2 kg will automatically be sent by 24/48 hour courier, and all orders worth £70.00 and over will receive free 24/48 hour courier delivery. Just to remind you that we will be trading as usual during the postal strikes. In order to continue to provide our customers with the best possible service, we have reduced our courier service rates to £6.95. In addition to this, all orders weighing 2kg or over will be sent via courier, and all orders over £70.00 will be sent by courier free of charge. These rates apply to UK mainland only. You still have time to order all your Halloween party bags and Christmas party bags, so why not take advantage of our reduced rates and order them now. 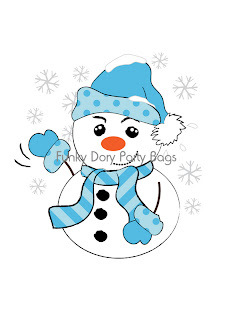 I'd like to introduce to you the Jolly Snowman - our new design for Christmas personalised party bags. These recycled paper bags are customised with your own message, so as well as party bags, they make really lovely (and unique!) gift bags. Browse all our personalised party bags. Whilst you're there you can do a lot worse than have a look at what Antonia has to offer. She's an amazing PR expert and writer, and has been a great source of inspiration to mumpreneurs and business mums all over in recent years (myself included). She's so good at what she does in fact, that she won an award for it this month. 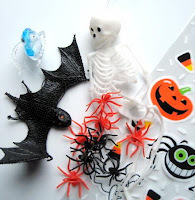 I've just added some super value filled Halloween party bags to our site. At only £1.00 each you will save yourself time and money by popping a few of these in your cart for Halloween! You will receive a Trick or Treat Halloween loot bag, filled with at least 8 items - from our range of Halloween critters, including large stretchy spiders, finger monsters, bats, skeletons and plastic spider rings! 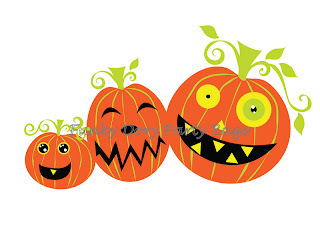 Also available are Filled Halloween Activity Party Bags. We've often been asked for personalised party bags for Hen Nights, and I'm pleased to say we've just had one designed for us by Suzanne Washington. We love it - what do you think? Postal workers are voting today on whether to hold national strikes. I want to reassure all our customers that we are doing all we can to minimise disruption caused by possible strike action. For this reason we are offering a reduced rate of £6.95 on our courier delivery service. Also, all orders over 2kg in weight will be sent via courier, and all orders worth £70.00 and above will be sent via courier free of charge! These rates and services apply to UK mainland orders only. 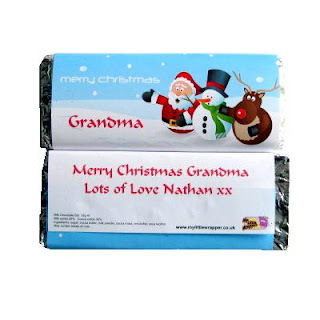 The perfect stocking filler for chocoholics of all ages, and a great alternative to a Christmas card, we now have personalised Christmas chocolate bars. My particular favourite is this trio of Santa, a snowman and Rudolph. Either they are very surprised, or they are singing a Christmas carol! Take a look at the rest of our Christmas items including party bags, fillers and mugs in our Christmas section. I'm delighted to share with you some of the new personalised party bag designs created exclusively for us by very talented graphic artist, Suzanne Washington. The first lot of new party bags are for Halloween and feature a witch in full flight (shown left), a graveyard scene complete with tombstone, spiders and a ghost, and finally a group of rather cheeky looking pumpkins! All these personalised party bags are made from recycled kraft paper and can be customised with your own message. They make perfect Halloween party bags and are also great for trick or treaters for storing their goodies in! You can see these bags in our personalised party bags section, and also our Halloween section. How to fill a party bag for very little money, and still impress! We've all been there. Junior comes home from a party with a party bag full of broken bits of plastic (or even worse - a plastic whistle) and additive-filled sweets, most of which end up in the bin. Some of us (myself included), harrassed and overstressed, have also been guilty of including such items in their own party bags! Wouldn't it be nice to be given a party bag that contains items that both parents and kids love? Wouldn't it be even better if this party bag cost about the same as (or less than) the junk-filled one? You don't need to spend £5.00 or above on a party bag to impress, because we've come up with some really cool, affordable party bag filler ideas.